The question on the tip of everyone’s tongues with regards to Newcastle at the start of last season was whether they would be able to sustain the achievements of the year before, a year where they narrowly missed out on Champions League football. However, come the turn of the year, Newcastle found themselves in a relegation dogfight which lasted up until the final weeks of the season. An influx of new signings in January such as Moussa Sissoko and Yoan Gouffran enabled them to pick up some crucial points to steer clear of the drop. Since the end of the season, Newcastle have had several off the field issues to contend with such as Joe Kinnear’s controversial appointment as the new director of football, a move many feel will undermine manager Alan Pardew. The appointment has caused some disquiet amongst some of the players also as a result of Kinnear pronouncing some of their names incorrectly on a radio shows days after being appointed. This, coupled with Papiss Cissé’s initial refusal to sport the club’s main sponsor on religious grounds means that Newcastle go into this new season under a cloud of uncertainty both on and off the pitch. Alan Pardew made his name in the Premier League as manager of West Ham United whom, after gaining promotion from the Championship, he guided to a top half finish and an FA Cup Final in his first year as a top flight manager. Things began to turn sour during his 4th year in charge though and he was sacked by chairman Eggert Magnusson after a 4-0 defeat at Bolton. An unsuccessful spell at Charlton followed for Pardew before a promising spell with Southampton ended after a falling out with owner Nicola Cortese. 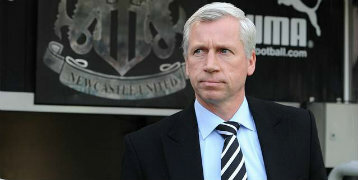 In December 2010, Pardew was controversially appointed as Chris Hughton’s successor at Newcastle United, a move that was openly questioned by fans and players alike. However, Pardew managed to steady the ship in his first half season in charge before defying all doubters with a remarkable 2011/12 campaign in which he guided the club to a 5th place finish and European football, winning the Premier League Manager of the Year Award as well as the LMA Manager of the Season award in the process. The inevitable hype for the following season, the 2012/13 was misplaced however as Newcastle found themselves flirting with relegation for most of the season. This season, however, he will be under pressure to produce a push for Europa League positions especially with the added complications caused by the appointment of a director of football, Joe Kinnear, to help Pardew with team affairs. Pardew is, though, a very confident and self-assured manager and will relish the opportunity to prove any doubters wrong, just as he did the season before last. The question remains though as to whether Pardew will be in full control of his team and should their be any interference from above, one wouldn’t be surprised if a man of Pardew’s pride would see fit to walk away. Signed from Lille in the summer of 2011, Yohan Cabaye has since proven himself as one of the Premier League’s standout midfielders. Technically gifted and superb from set-pieces, Newcastle’s creativity is sometimes solely down to him particularly with the amount of time the injury plagued Hatem Ben Arfa spends on the sidelines. However, Cabaye himself suffered a groin injury in November of last year which saw him miss almost three months of action, a time which saw Newcastle struggle immensely. It was only upon his return in late January, along with some astute new signings, that Newcastle finally began to put a run of results together that staved off the threat of relegation. Cabaye’s greatest strengths lie in picking out the defence splitting pass, a skill that saw him claim 11 assists during Newcastle’s highly successful 2011/12 campaign. This was largely down to the excellent form of the forwards in front of him, namely Demba Ba and Papiss Cisse. However, the form of Newcastle’s forwards last season was largely disappointing and it is no coincidence that this saw Cabaye pick up just 4 assists in the whole of last term. With the addition of the pacy Loic Remy up front this time around, Newcastle will be hoping that their forwards will have their shooting boots on this time time around because there’s no doubting that a fully fit Cabaye will pick them out, given his quality in the final third. Having been heavily linked with a move to Manchester United this summer, Cabaye and Newcastle will know that another season can not be spent floundering in the bottom half. If this does indeed happen, a player of Cabaye’s quality will be forgiven for wishing to move on. There is no doubt that Newcastle collectively are a lot better than the league table suggested last season. However, injuries to key players like Cabaye, Hatem Ben Arfa (pictured above) and Cheick Tiote were crucial as Newcastle’s squad lacked the depth to be able to deal with such key losses. Besides the loan signing of Loic Remy (pictured below), there has been little in the way of attempting to solve that problem. Often left with a midfield duo of Vurnon Anita and Gael Bigirimana, Newcastle lacked real characters down the spine of the team which worsened when in January, captain Fabricio Coloccini announced his desire to leave the club with immediate effect. Although Alan Pardew convinced his skipper to stay, one has to question whether Coloccini will be in the right frame of mind to skipper his side into another Premier League campaign. 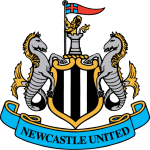 The form of their captain will have a big say in how Newcastle fair in their push for Europe this season, particularly as promising signings Mapou Yanga-Mbiwa and Mathieu Debuchy have struggled to adapt to English football thus far. Also, the misfiring Papiss Cissé can not afford another ineffective campaign as again, alternatives are thin on the ground for the Toon Army. While there is no doubt that Newcastle have the ability to challenge for European places, the players needed to get them their are all worryingly injury prone and if these injuries begin to take their toll as they did last season, Newcastle could be in for yet another frustrating campaign.